This book explores the economic development trajectories of South Korea and Vietnam, focusing on the role of the state in economic success amidst similarities and differences in their experiences. The central role of the state in generating economic development is certainly evident in both cases, but are the paths, institutions, policies and environments the same? These are among the matters that this book explores through a systematic comparative analysis of economic development and the role of the state in South Korea and Vietnam. The results of this analysis provide lessons that will be useful for other developing countries as well as deepen our understanding of the development experiences of South Korea and Vietnam. This book is a remarkable and timely contribution. First, this book provides new insights into the understanding of the dynamics and diversity of economic development across the world and Asia as well as in Korea and Vietnam in particular. While it does not aim to offer a comprehensive study of the economic intervention policies by either country’s government and their impacts, it provides broad and qualitative perspectives on how these policies are selected, implemented and developed at different stages of economic development and in different social and political contexts. 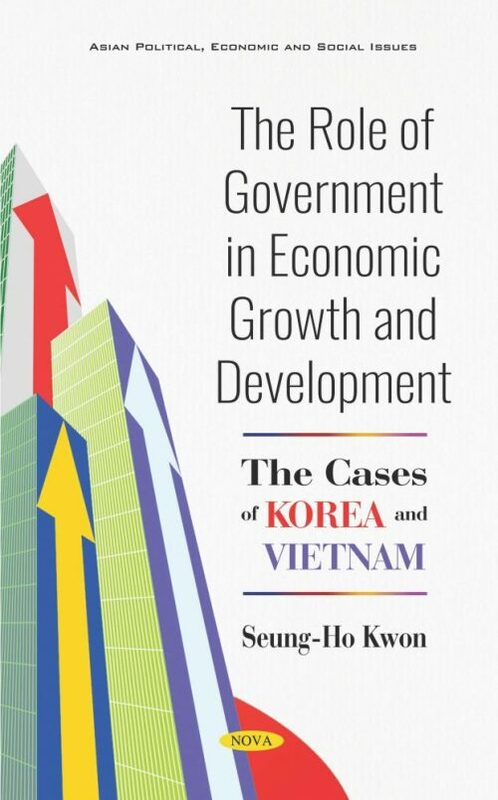 Secondly, by tracing the historical trajectories of the changes to the extent of government involvement in economic development in Korea and Vietnam presently, this book contributes to the debate on the efficacy and continuity of the well-worn East Asian model of economic development and gives a line of empirical evidence. Finally, it will help lay out the blueprint of the Vietnamese development model as envisioned by the Korean development model. The innovative nature of this book can be summarized as follows: First, this book engages a historical perspective in order to explore and understand the dynamics of the role of the government; this approach will be valuable to examine how the government has adapted to changes in environmental conditions during the process of development, industrialization and globalization. Thus, the development trajectories of each country have been examined according to three key stages. Secondly, the book uses a comparative method, comparing a wide range of economic, social and political development indicators between the two countries. The comparison between two very different East Asian countries with distinctive social, economic and political systems and at different stages of development can be instructive to show whether the state-led East Asian model has changed, evolved, diminished, or is in terminal decline. Finally, the book uses a qualitative method to generate comprehensive country case studies that are essential to uncover the specific dynamics underlying different development trajectories and outcomes.